Wildfire is a tragic reminder of the importance of disaster relief and clearing the 72 million tons of downed trees left in Hurricane Michael’s wake. At least 35 structures are in danger. Nearly two dozen Florida homes have been evacuated because of a 500-acre wildfire that grew rapidly overnight because of downed trees from Hurricane Michael. 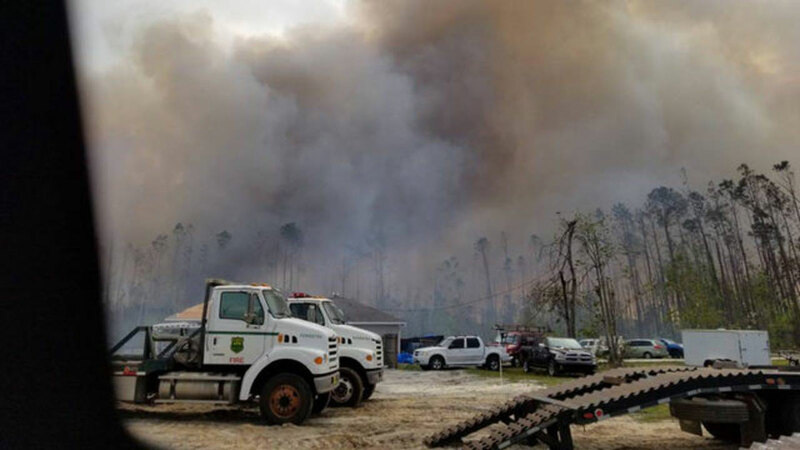 Authorities say the fire broke out Saturday in the Panhandle about 10 miles east of Panama City and quickly grew to 500 acres by Sunday afternoon. At least 35 structures are in danger. Agriculture Commissioner Nikki Fried’s office says 23 firefighters, multiple bulldozers, fixed-wing aircraft, and helicopters are working to contain the blaze. Strong winds are pushing the fire toward the south, but light rain is helping rescue efforts.